Olymp Trade is a certified online trading platform for currency pairs, commodities, cryptocurrencies and other types of assets. Safety, quality and affordability helped Olymp Trade win the loyalty of more than 20 million users from around the world, as well as become a winner of multiple international trading awards. In 2016, Olymp Trade became a member of the International Finance Commission. If a broker is a part of this organization, it guarantees a trader full compliance with the terms of the client agreement and honest service. In 2018, the quality of trade execution on the Olymp Trade platform was certified by the Verify My Trade independent service, which confirms the competitiveness and reliability of the quotations. The Olymp Trade platform is easy to understand; it will not take much time to master it. The main working area consists of an asset price chart, an asset panel, a trade menu, and a block of information about open and closed trades. The asset price chart can be displayed as the classic linear (zone) version, Japanese candles, bars or Heikin-Ashi candles. The time frame of the chart can be adjusted by manually. You can choose from the following options: 15 seconds, 1 minute, 5 minutes, 10 minutes, 15 minutes, 30 minutes, 1 hour, 4 hours, 1 day, 7 days, a month. The assets panel is a table with the tools, which you can quickly switch. You can also open the list of available assets and add to the panel above the chart only the necessary ones. The trade menu has the trading amount-entry box, trade time and buttons for selecting the trade direction. To make a forex trade, the user enters the investment amount and selects the coefficient of the position multiplier. Also, he should select take profit and stop loss parameters. The trades information block is located below the asset price chart. A user can find out the opening or closing price of the trade, its duration and the reasons for closing. In the Forex mode, you can adjust the parameters of stop loss and take profit. At the same time, they can be set as both the total sum and as the asset's quotes. 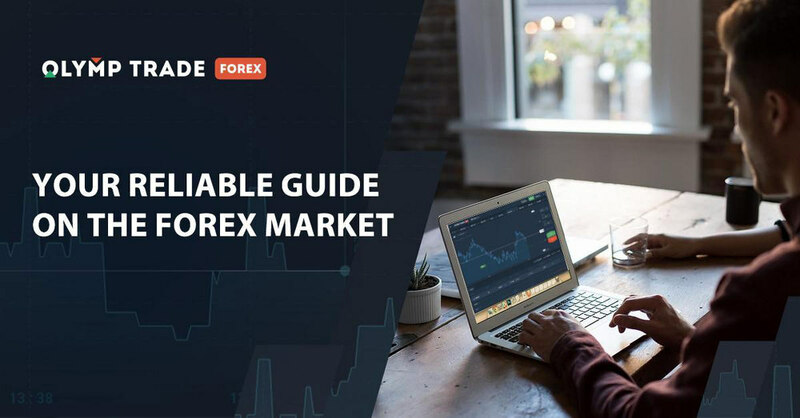 There are 36 currency pairs, 10 cryptocurrencies/USD pairs, 2 cryptocurrency pairs, 6 commodities, 10 stock indices, 13 shares of the world’s largest companies available for trading on the platform. 28 analytical tools for forecasting the asset prices are integrated into the Olymp Trade platform. Among them are the most popular trend indicators and oscillators, as well as graphical analysis tools - horizontal and trend lines. Trade orders. This service helps the user to make a trade at a particular moment. For example, a time order opens a trade at the selected hour, and a price order will open a trade when the asset price reaches the specified quotation. Stop loss and take profit orders are the trader’s orders to close the trade when a certain level of profit (take profit) or loss (stop loss) is reached. A multiplier is a tool that increases the amount of a trader’s transaction by several times. For example, a trader invests $ 1000 with a multiplier of x200 hoping the EUR/USD price will go up. This means that the total amount of the trade will be $ 200,000. All profits from such a deal belong to the user. Short trades are made when a trader expects the price to get lower. For example, it was impossible to make money on bitcoin’s decline for a long time. Traders have this opportunity on the Olymp Trade platform. Olymp Trade offers beginners a unique, free knowledge base. Webinars of financial analysts, analysis of effective strategies and training courses will help you become a professional trader in no time. You practice your skills without any risk of losing your own funds on a demo account - a special simulator that models trading with real money. Please note that the account balance can be replenished an unlimited number of time and completely free of charge. The minimum deposit is just $ 10 / € 10 / $ 350 / R $ 20. The minimum trading amount is $ 1 / € 1 / 30₽ / R $ 2. Replenishments and withdrawals of funds are carried out as soon as possible without any fee. There is no spread payment on the Olymp Trade trading platform, and the brokerage fees are known beforehand. When trading forex, a fee is charged for making a trade and leaving a position open overnight. It is free to close the trade. In contrast to SWAP, the amount of payment for leaving of the position open overnight does not depend on the central banks’ rates. You can check the amount in the asset specification. • Special webinars for VIP users. Mobile apps are available for Android and iOS devices. You can download them for free from App Store and Google Play.